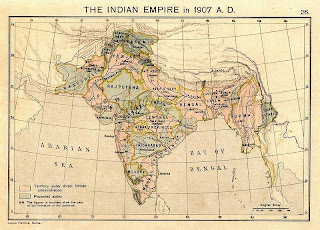 ... 1905 (105 years ago today), a Partition of Bengal took effect, having been announced 3 months earlier by George Nathaniel Curzon, Viceroy of what then was the British colony of India. Located in the northeast region of the subcontinent, at the bay of the same name. Bengal province was about the size of the country of France. (map credit) But it had a population of more than 80 million people, many more than France. 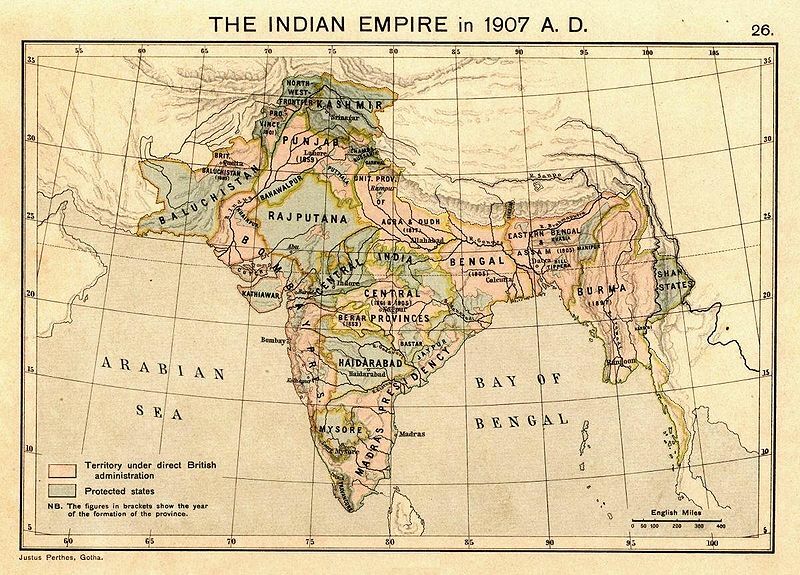 Opposition to the partition led to its annulment in 1911. Today 1 area within the region is the country of Bangladesh; another is part of the country of India.